USES – Healing of wounds and burns, sunburn, psoriasis; intestinal inflammation, stomach and peptic ulcers. HOW IT WORKS – The plant contains anthraquinone glycosides, resins and polysaccharides. When taken internally, Aloe Vera has a cleansing and healing effect on the body, by virtue of its action on the digestive tract. This makes it useful for a number of skin conditions, where the process of internal detoxification is deemed by naturopaths to be important. 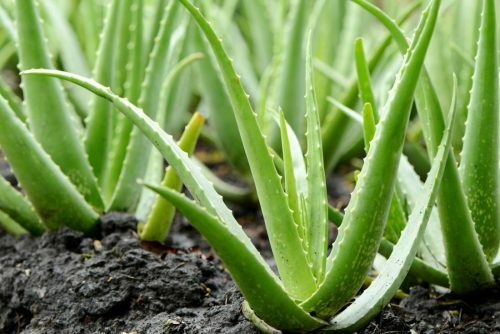 Scientific use of Aloe in wound healing was first documented in 1935. Since than, there have been a number of studies showing its effectiveness as a treatment for burns, including sunburns and other wounds even internal ones.